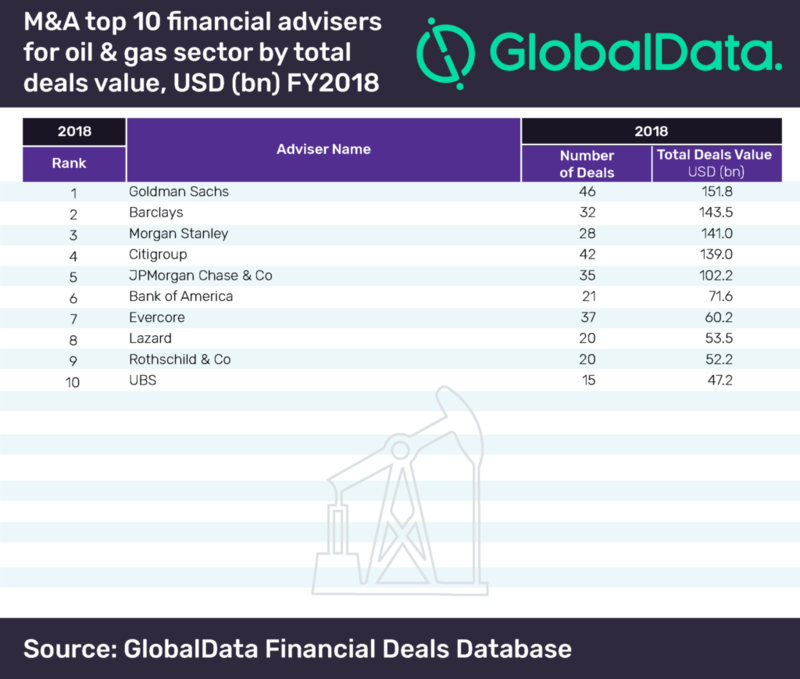 Goldman Sachs has claimed the top position in the latest M&A league table of the top 10 financial advisers for the Oil & Gas sector for FY 2018, compiled by leading data analytics company GlobalData. The American bank scored the top rank with a deal value of $151.8bn, with 46 deals advised during the quarter – which incidentally was also the highest in terms of volume. Barclays stood second with $143.5bn earned on the strength of 32 deals. GlobalData compiles the league table using real-time data tracked from all merger and acquisition, private equity/venture capital and asset transaction activity globally. The company also confirmed that Morgan Stanley achieved third place with 28 deals worth a total of $141.0bn. The Oil & Gas sector increased by nearly 40% in value from $388.0bn in FY2017 to $541.0bn in FY2018; however, volume rise was sedentary, with only about 3% increase between the years under review. Goldman Sachs also topped the global league table of top 20 financial advisers released by GlobalData recently. Barclays, in second place, slid to sixth in the global list. 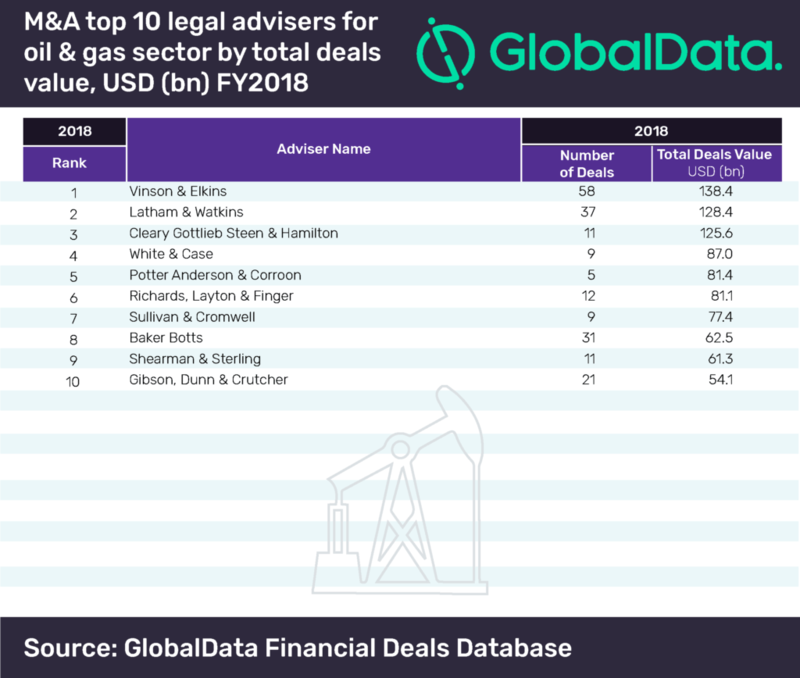 Vinson & Elkins, conspicuous by its absence from the global league table of top 20 legal advisers, led the top 10 legal advisers table for FY2018 with a total deals value of $138.4bn. Topping even in terms of volume, the Texas-based legal adviser’s 58 deals are 21 more than the second-placed Latham & Watkins, which worked on deals worth $128.4bn. Cleary Gottlieb Steen & Hamilton came in a close third with $125.6bn from 11 deals that it advised on.